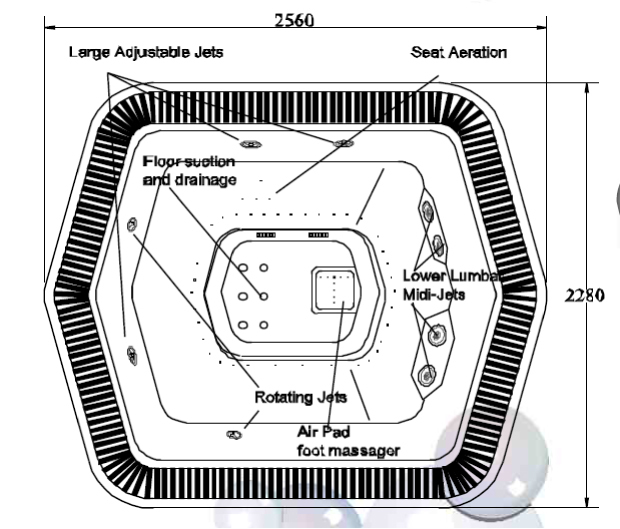 The Nevada spa can be manufactured with a rimflow or flushdeck. This feature reduces water loss and spillage when the spa is in use. It also provides an aesthetically pleasing feature and allows for water to be filled to the brim similar to the “infinity pool” concept.